MPG 2012 South Florida is complete. Check out a full listing of all of our local meet ups here. If you are tired of two weeks of vacation time and want to break away from the cube to explore the world, then don’t miss out on this event! Not sure? Read Why You Should Attend Meet, Plan, Go! NOTE: There are no refunds once tickets are purchased. If you wish to transfer your ticket to someone else, you will need to update your attendee information (including all survey questions). Upon registering, create an EventBrite login in order to access your account information later. 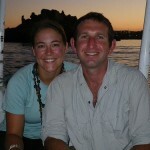 Jillian and her husband traveled around the world for 21 months, traversing famous overland routes like Capetown to Cairo and the old silk road. They conquered mini-buses on four continents and enjoyed street food in fifty countries, all without a single broken bone or parasite! 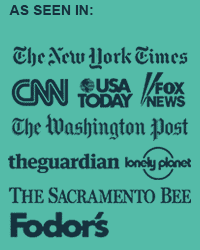 Experts in budgeting and financing your dream, Jillian and her husband have been featured by finance and business writers from The New York Times, Sun-Sentinel, and US News & World Report. In 2011, the couple started a budgeting website to help others achieve their financial goals: Doughhound. 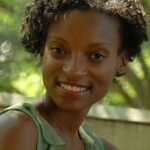 April D. Thompson is a recovering tech nerd, Jamaica-holic, cupcake connoisseur and travel addict. An engineer by training, she now balances her responsibilities as a digital programs manager for a multinational tech company with an insane case of wanderlust. In 2011 April founded, The Absolute Travel Addict, a site that offers travel tips, reviews and inspiration from her adventures around the globe. Her goal is to encourage everyone to get a passport, explore the world and live their absolute best life. Aracely Santos Castellani immigrated to the United States from Ecuador at the age of seven. Growing up in New Jersey, Aracely studied International Affairs, earning a Master’s degree from New School University. From a young age, it was clear that Aracely was meant to travel. After more than five years in the corporate world, Aracely negotiated a career break from her Fortune 500 employer, and set off to travel. For a year she and her husband Jason traveled through Central and South America exploring the jungle, silver mines, salt flats and ancient ruins along the way. Balancing her professional responsibilities with her travels, Aracely was able to achieve her dream without giving up her career. A multi Emmy winning video producer with more than 20 years experience traveling the globe (83 countries across all 7 continents), shooting and editing travel/tourism videos for various destinations, PR companies, cruise lines, airlines, and tourist boards. With several amazing once-in-a-lifetime experiences and the chance to see the incredible world we live in. A self-proclaimed ‘geek’ or ‘early adopter, I became involved in Social media back in 2007. A few years later becoming one of the most influential travel people on Twitter and wining the Shorty award (the Oscars of Twitter) for travel in 2011. Named one of the Top 10 travel people to follow on Twitter for 2012. 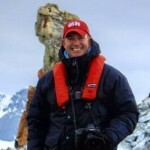 I’ve been featured on various travel websites including: National Geographic Traveler, BBC Travel, The Huffington Post, AOL travel, Gadling, AFAR, JohnnyJet.com and I wrote a 6 part series travel tech column for a popular cruise magazine. After spending 10 years working the corporate grind in New York City, Matt and his wife found themselves feeling there was a world they needed to explore and engage with. In 2010, they decided to leave their comfy jobs to pursue their dream of a “career break” – taking a 5-month, 17 country round-the-world journey. Upon return, it was clear that quality of life was going to be priority #1 for them. 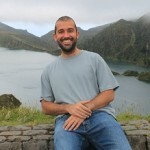 They re-located to South Florida, he is currently working remotely with Indie Travel company BootsnAll.com, and has also recently starting his own company: Trailblazer Marketing Solutions. His goal is to help and encourage career break “dreamers” to turn the dream, into a reality. Film work, community outreach, research projects and an insatiable appetite are among the many reasons Justin Martin has found himself overseas over the years. He has filmed and traveled in over twenty-five countries and has applied his experience to Off The Path Travel, an alternative travel company that he co-owns and operates with his brother. Justin’s favorite trip was an eight month overland route from the west coast of Europe to the east coast of Asia using solely local transportation.